What is there to do in Goshen? For young people and adults who enjoy (or are at least considering) recreation and exercise, there’s plenty. Put another way, there is no excuse for idleness in the Maple City. Seriously, zero. None. Here is a list of 10 options to get you started on the path to a healthier, better life. One day, you’ll thank us for this. Step One: Buy a bicycle. Step Two: If you haven’t already, develop a sense of balance. You’re going for a little ride. Goshen has several bicycle/pedestrian trails suitable for cycling, jogging and walking. The 23-mile network includes the Central City Trail linking the downtown with several neighborhoods and Goshen College; the Millrace Trail extending south from 2nd Street to the Goshen Dam Pond along the hydraulic canal; the Wilden Avenue Trail linking Goshen to Ox Bow Park and the city of Elkhart; and the Pumpkinvine Nature Trail that runs north on repurposed railroad corridor from Abshire Park, winding its way north out of Goshen to Middlebury and Shipshewana. Look, we’re not killjoys. We know you’re going to eat an elephant ear, maybe with some fried cheese on the side. Fine … but there are ways to work it off. And you’re in luck! 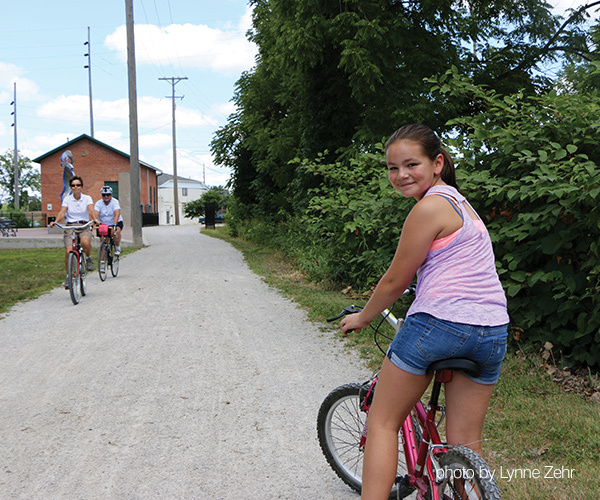 The 2015 Elkhart County 4-H Fair almost always includes several athletic contests. 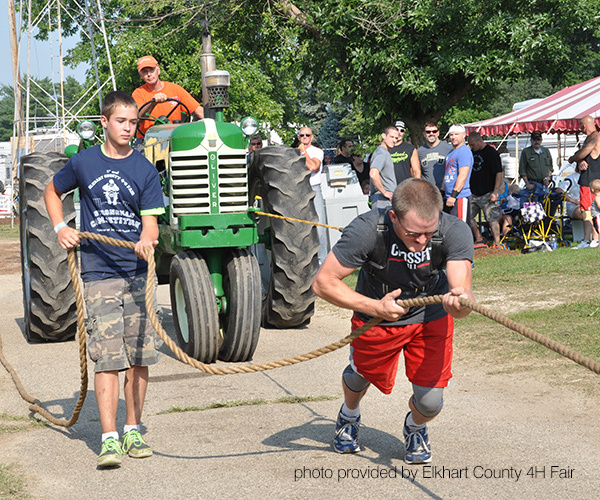 This year, the fair will included a Strongman competition, arm wrestling, and a 3-on-3 basketball tournament. Also featured is the Parade 5,000 Road Run, a race that precedes the fair parade the Sunday of fair week. The Road Run follows the parade route, winding from downtown to the fairgrounds. The fairgrounds are located at 17746 C.R. 34. If you couldn’t make it this year, come back in 2016 for more fun and, of course, fried stuff. Registration and other information about fair activities is on their web site. Just go easy on the elephant ears this year, OK? 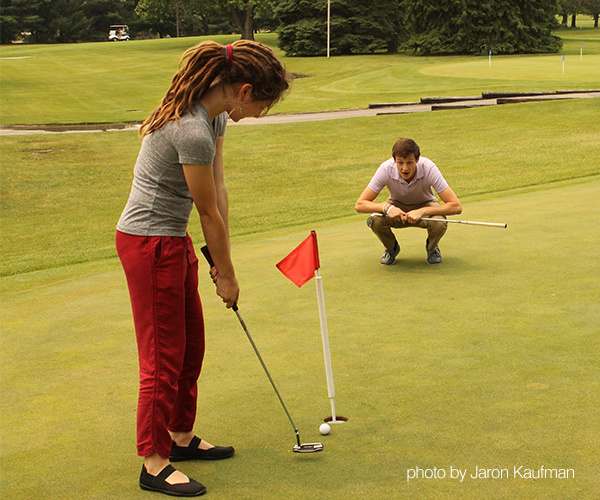 You’re a natural at this whole golf thing, right? Of course you are. Have a little blind faith. Two courses are available in Goshen for folks who enjoy hitting the links. Black Squirrel Golf Club at Larimer Greens is a public course located at 1017 Larimer Drive, off Plymouth Avenue (Ind. 119). MapleCrest Country Club is a members-only course located at 611 Hackett Road. Like “Saturday Night Fever,” but different. Way different. Get out of your seat, hit the street, go to the dance and move those feet. 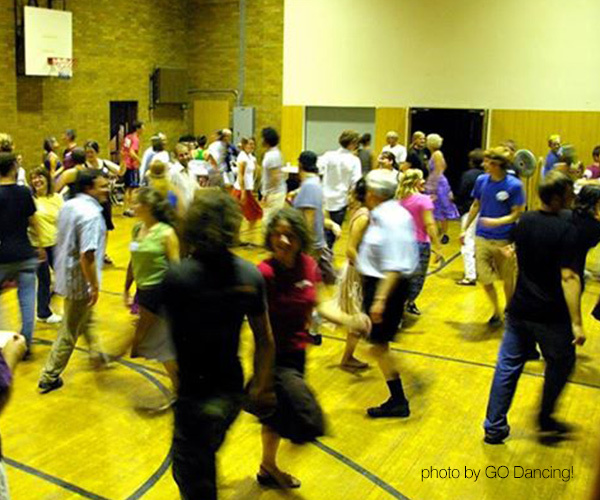 Put on your dancing shoes (wide-lapel shirts optional, but John Travolta would approve) for Goshen Community Contra Dancing. Dance styles include contras, squares, circles and waltzes. No experience or a partner is required — just willingness to join the fun! Dances are led by experienced callers, and music is provided by local and regional groups. Dances are scheduled throughout the year at First United Methodist Church, 215 S. 5th Street. For registration and other information about GO Dancing!, visit the website. Biking not to your liking? Insurance agents and local authorities have suggested — strongly — that golf shouldn’t be your game? No problem. You can still paddle. Canoeing and kayaking opportunities are available in Goshen. Those with their own watercraft can enjoy floating down the Elkhart River. 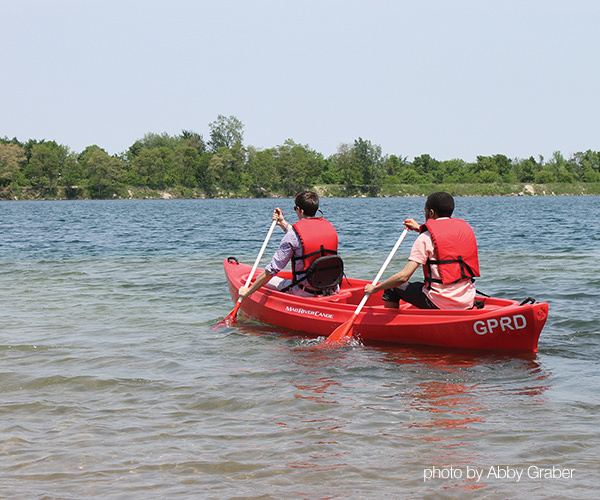 Also, canoe, kayak and pedal boat rentals are available for use at Fidler Pond Park, an 80-acre park located at 1424 Lincolnway East. Lifejackets are mandatory on Fidler Pond. If you bring your own canoe or kayak and need a lifejacket, rental is $2 for two hours. 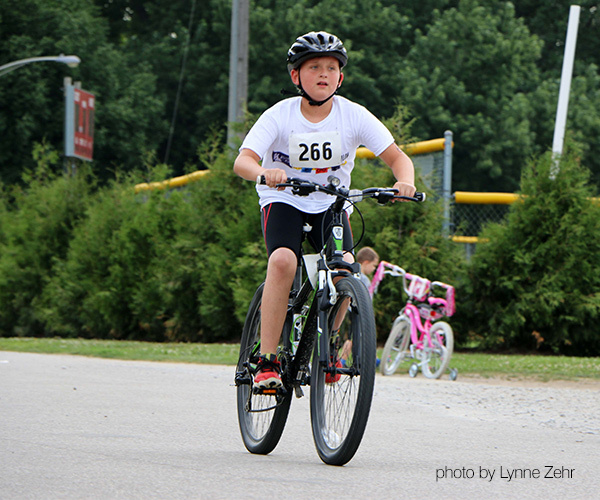 Well, lucky you: The Goshen Parks and Recreation Department hosted two triathlons this summer. The Kerry’s Kids 11th Annual Kids’ & Teens Try-Athlon for young people ages 5 to 18 just took place (Saturday, July 11) at Shanklin Park. The Try-Athlon consists of swimming, biking and running. Racers compete with those in their swimming status group, gender group and age group in this chip-timed race. Next year’s event is scheduled for Saturday, July 9. The Rock The Quarry Triathlon is scheduled for Saturday, Aug. 15, at Fidler Park Pond. Rock The Quarry will include a sprint triathlon: a 500-yard swim, 15.8 mile bike course and a 5K run. There will also be a mile swim at Fidler Pond. Get ready to say “I’m going to the club,” with a sense of dignity. 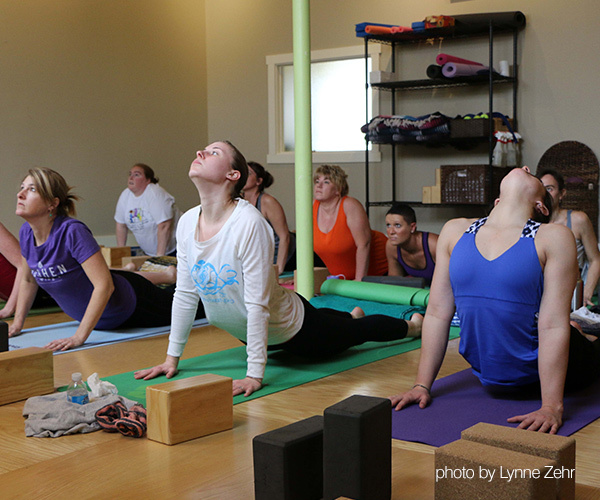 Goshen is home to a number of fitness, recreation and health clubs and studios. These include the Goshen College Recreation-Fitness Center, 1700 S. Main St.; Anytime Fitness, 712 W. Lincoln Ave.; Lol Health and Fitness Studio, which also shares building space at 302 S. Main St. with Spacious Heart Yoga; East Lake Athletic Club, 1400 Fairfield Ave.; Crossfit 811, 1824 Reliance Road; and Ares Fitness Club, 201 Chicago Ave. Fitness classes are also offered at IU Health Goshen, 200 High Park Ave.
Sure there is. Buck up. Grown-ups and kids alike can participate in any of the several leagues and teams Goshen has to offer. Adult softball and volleyball leagues, youth basketball, youth flag football, an adult basketball league, Zumba, Pickleball and scuba classes are all offered by the Goshen Parks and Recreation Department. 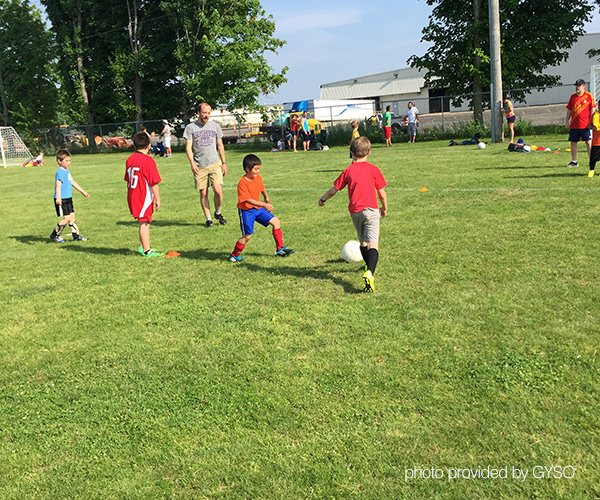 So much soccer: The parks department offers the Goshen Sharks Soccer League, and the city is home to the Goshen Youth Soccer Organization (GYSO). Young baseball lovers can join the Goshen Little League. For more information, call 574-534-8905. Goshen Swimming Inc. provides a year-round competitive swim team offering professional coaching and technique instruction for young people of all abilities. Relaxation and staying healthy can be as easy as a walk in the park, and Goshen has many from which to choose. Shanklin Park, 411 W. Plymouth Ave., located between the Elkhart River and the Millrace, is Goshen’s largest park at 90 acres. 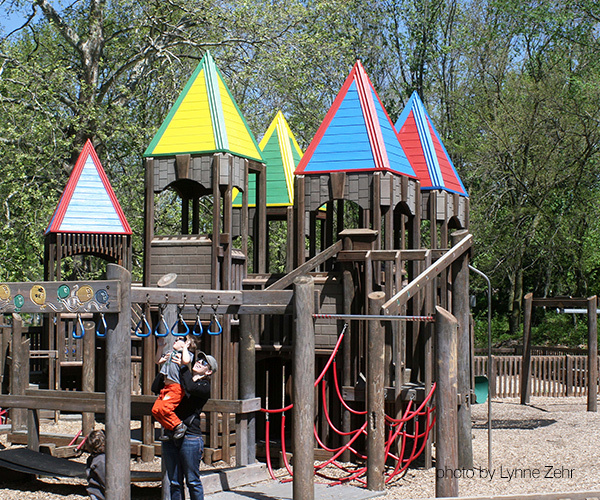 Goshen’s second-largest park, at 60 acres, is Abshire Park, 1302 E. Lincoln Ave. Goshen’s park system includes a mix of open space, wooded acres, sports facilities, pavilions, playgrounds and other amenities. More than 70 percent of the Earth is covered in water. The human body is more than 60 percent water. So water, y’know, it’s good for you. In the market for aquatic exercise or just need to cool off? Visit the Shanklin Pool, 411 W. Plymouth Ave. The pool is open to the public from noon to 4 p.m. and 6 to 8 p.m. Monday through Friday; and noon to 7 p.m. Saturday and Sunday. Adult lap swim is available from 11 a.m. to noon Monday through Friday. 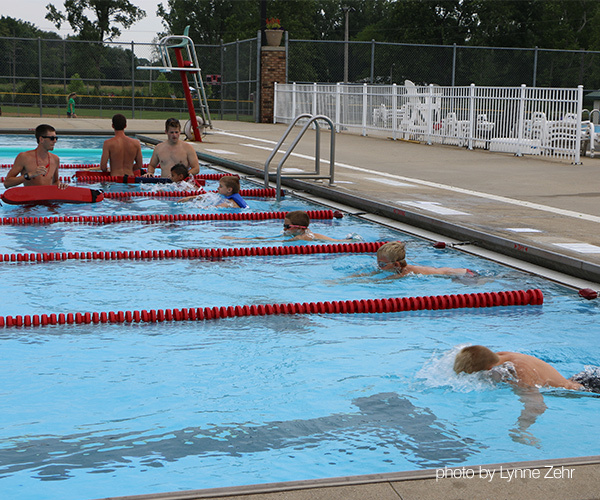 The pool opened June 6 and will remain open until Goshen Community Schools resume classes. The Natatorium at Goshen Middle School, 1216 S. Indiana Ave., is scheduled for completion in November 2015. The Natatorium will include a six-lane community pool and a 10-lane competition pool. School programs are first priority for the space, but the goal is to make Natatorium pools open to the public as much as possible.